On behalf of the trustees of the Wharton-Penn Alumni Association, thank you for joining us at the Globe Tower BGC last September 7 for our First September event on "ASEAN INTEGRATION: Opportunities and Challenges for Philippine Businesses"! 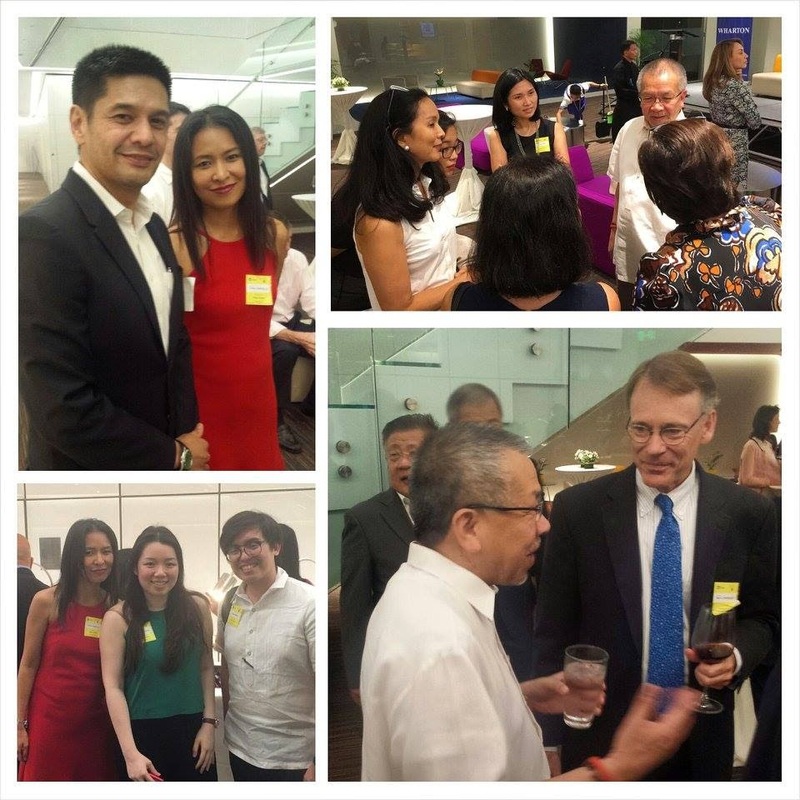 Sixty alumni and their guests enjoyed a warm welcome by President Carlos Baniqued, entertaining introductions by Former President and ex-officio Trustee Peter Coyiuto (W '78), and conversations with our special guests, Wharton Vice Dean Sam Lundquist and DTI Sec. Greg Domingo (Wharton '82). In keeping with the ASEAN theme, attendees were treated to scrumptious Southeast Asian food, including satay skewers, a variety of curries, and pandan pudding. Truly a night of flavors, fun, and fellowship! We would like to acknowledge Trustee Lindy Castillo (WG '98), our hostest with the mostest, for organizing the event and graciously providing the liquor and cocktails for the evening. Many thanks also to trustees Carlo Baniqued (GL '85) and Past President Jimmy Ysmael (WG '86, G '86) for their support, and to Globe Telecom's Ernest Cu for the generous use of their corporate headquarters. See you at our upcoming events!